Wind's Eye Design manages PTguide.com and existing web clients, but will take on new projects when possible. Please ask! 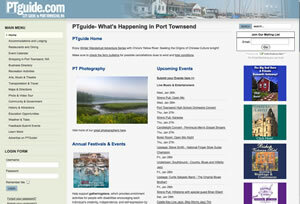 Port Townsend's most popular community web site since 1998 - focused on local Port Townsend and East Jefferson County businesses, events and information. Shop Locally!